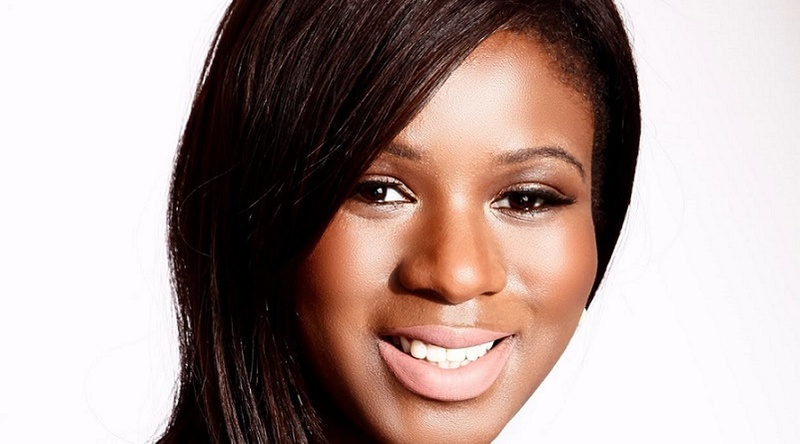 PRECIOUS partners with Santander to launch ground-breaking survey focused on women of colour in business. We continue our series of profiles putting the spotlight on the lives of women of colour in business, leadership and work. Brenda Gabriel is a publicist for Generation X female disruptors, visionary entrepreneurs and organisations who want to increase their authority, and establish themselves as experts and make a difference in the world. She founded Biz Gamechanger, a Publicity PR and Marketing agency, in 2015. What drove you to start your own business? After being run off my bike in 2012, I had an epiphany. I questioned whether I would have been happy with my obituary had my life ended that day. The answer was a resounding ‘No’. I was unhappy in a job I felt was a ‘dead end’ and stifled my creativity. An opportunity for redundancy arose a short while later. At eight months pregnant I took a giant leap into the unknown and ploughed half of my payout into a property investment course. It was during the marketing segment of the course that I discovered my true passion. I approached a top PR agency to hire me to improve their online marketing strategy. It took a whole day to put together a short proposal. They agreed. Discovering a flair for PR and marketing led me to set up my own agency in 2015, just five months after the birth of my third child. I have built up my business from scratch whilst remaining a stay-at-home-mum. I’m on a mission to make my difference in the world by enabling disruptors to do the same by getting them the publicity they deserve for their work. I also want to inspire other women to make the leap into entrepreneurship and design a life of their choosing, regardless of their starting point. If I can do it with everything that was against me so can any mum. What was your career path prior to starting your business? Despite flunking my A-Levels, I secured my first office job in 2001. In 2003 I joined the CPS as a temp before securing a permanent role where I worked my way up to middle management. After securing a secondment equivalent to that of a lawyer I was on the path to applying for a senior management role. At the end of the secondment I had to go back to a role in a grade beneath. When a position came up for a similar project I asked my old manager whether she thought I should apply. She talked me out of it, citing my lack of expertise in one area of it so I didn’t. As it turned out someone with less experience and a grade lower than me got the job. That was when I learned if I wanted to go for something I should just go for it and not worry about what others have to say about it – especially if it wasn’t going to be supportive. My princess was born in July 2015. I gave myself four months maternity leave and attended business training at my local business centre in November. In December I hired my first business coach. I knew if I was going to get things off the ground quickly, I would need help. I had a rough business plan but my ideas changed so much I never got around to doing a full business plan. I got clear on who I wanted to serve, why and where I was going to find them and went from there. My business coach also ran a mastermind that I became part of. It proved a great support network with other mums in business on a similar journey at different stages. How far ahead do you plan and what keeps you on track and motivated? I have an ultimate plan that I am always working towards. It helps keep me on track when challenges are encountered, which inevitably they do. With regards to day-to-day planning, I have a rough idea of what I would like to achieve for the week ahead and discuss with my partner and eldest son so I can get some support looking after the children. With two young children and juggling so many balls I don’t plan too far ahead as things can change quickly. Can you describe a typical working day? Being a work from home mum of three; with two under four years old, there is honestly no such thing as a standard day for me. There isn’t much that is planned and stuck to rigidly because of the nature of children. For ages I would beat myself up about the fact I couldn’t seem to get a routine like all the other mums in business. What I’ve learned is that in business, as in life, what works for one doesn’t work for another. At present my youngest stays at home with me three days a week so my partner and I take it in turns to be lead carer around our work. Once I start my working day I tend to work in floating blocks around a list of non-negotiables which include: checking emails, social media activity, client work and creating content. Some days go better than others but essentially I am always working towards a weekly, monthly and yearly goal so that is what keeps me on track. What has been the most amazing day in your entrepreneurial life so far? There are several amazing days. The first few to spring to mind are: seeing everything come together for the Damilola Taylor Memorial Lectures, which took place last year. I was the publicist for the event and promotion of ‘Our Loved Boy’ the BBC dramatization of the story. Having had a role to play for such a worthy cause is just the best feeling. My first radio interview with the amazing Claire Clottey was also a high, as was the day a Forbes writer first got back to me interested in one of my pitches. Every day is a new adventure so I am sure there are many more to come. What has been your scariest moment? There isn’t one definitive scary moment. Almost every day I am doing something that scares me, coming up with new ideas, putting myself out there, pitching deals. Being an entrepreneur is just one huge adventure. I believe that we should always be doing things that scare us. That’s how we grow. It doesn’t always pay off but either way it allows you to grow. How do you work on making your business grow? Online visibility and making genuine connections is how I make my business grow. The biggest lesson I have learned in business is the importance of maintaining connections and serving. What is the best thing about being your own boss? The best things about being my own boss are being able to see my children grow up. Every day they do something new or say a new word and I am so thankful I get to see it all. The second thing is being able to use my work to serve and impact people. The challenges of working for myself are numerous; working with children, cash flow, more ideas than time to implement them and work life balance. With my children I have some childcare and share responsibility with my partner. Work has to incorporate family time and sometimes has to go out of the window. To tackle cash flow I worked on developing residual streams of income to help with consistency, I park ideas on a Trello board until I can find the time to put them into action and work life balance is always a work in progress! Who do you admire or look to for inspiration as a business owner? So many people! I take inspiration from every business owner I meet. I believe I have something to learn from every single one. At the moment I am very inspired by Diana Mae Fernandez who is my business coach and Frank Salas who is an absolute whizz at systemising business. They have both turned their early challenges into hugely impactful businesses. What piece of advice has had the most impact on your business? And who was it from? There are three pieces of advice that had a huge impact on the way I do business. These mentors and coaches really helped me get clear on my goals. What are the three books, websites or resources (professional or personal) that you would recommend to other business owners? For mums in business Mpower.global is a fantastic resource with a free Empowered Success kickstart guide which helps map out what is needed for your own personal business success. It was an invaluable tool when I was starting out and still is. Miracle Morning – Hal Elrod is a fantastic book, which takes the reader through the process and thinking behind developing a personal blueprint for success around having a positive set routine every morning. What other passions do you have away from your business? How do you relax? My passions outside of business are reading, exercise (which has taken a bit of a back seat of late) and having great conversation. I also find having beauty treatments a great way to unwind. I rarely watch TV but if a series grabs me I’ll make time to watch with my partner as part of our quality time.